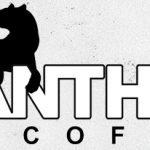 We are happy to congratulate Panther Coffee, the Wynwood-based small-batch roaster and retail shop, who excelled in the coffee category for their Ethiopian Chelba and Nicaraguan Kailash roasts. The criteria for winning in the coffee category is distinguished by exemplary flavor- sweet, clean, well developed body, balanced acidity and phenomenal aromatics. Free Art Fridays is a worldwide art movement that’s made its way to Miami, and the city’s local chapter, founded by local artist and promoter Registered Artist, is striving to unite artists, art collectors, and anyone who loves a good scavenger hunt. Every Friday, artists hide their work around the city, and whoever finds it gets to take it home for free. To participate, the rules are simple: Make a work of art you’re willing to give away. Then leave it somewhere in the city, along with your name (artistic nickname or otherwise) and the local chapter’s information (the site has a printable QR code, or artists can include the Facebook page URL). 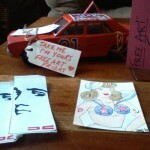 Next, post clues on the Facebook page to help Free Art Fridays (FAF) members find your work. Members also post pictures of their finds on the page and “share” them so artists can see who took their creations home. Painters, photographers, poets — all types of artists are encouraged to participate and drop pieces off around the city. YellowPepper, a mobile banking and payment applications tech company, is moving from its Aventura location to a warehouse in Wynwood and is hiring all new staff for this location. 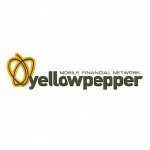 YellowPepper handles their business mostly in Latin America. The majority of their employees reside in Vietnam and Ecuador but they are starting a new project and are looking for creative entrepreneurs. We’re very much looking forward to 2014, especially with three new restaurants coming to Wynwood. Chorizo tacos, black bean and shrimp tacos, BBQ duck tacos with a guava glaze… this can only mean one thing; John’s Tacos! Open in Surfside and at last coming to Wynwood. There’s nothing better than a Lokal burger, sweet potato fries and a Funky Buddha beer on draft… until now! Lokal owner Matt Kuscher is opening Kush, promising an even broader selection of craft beer and a delectable menu. 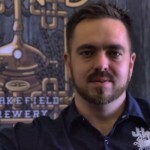 And last but not least, Jonathan Wakefield will be opening a brewhouse in Wynwood complete with a taproom and beer garden. The Magna Carter show at the BB&T Center this Thursday has brought power couple Jay Z and Beyonce down to the streets of Miami these past few days. Dining in Miami Beach, going to the Dolphins game and most recently spotted walking the streets of Wynwood, enjoying a slice of Joey’s famous exotic pizza. 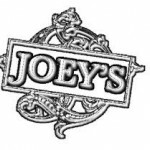 Joey’s pizza, located on 2nd avenue, is famous for its fresh ingredients, delicious tomato and red pepper soup and not to mention their dolce picante pizza, loaded with figs and gorgonzola cheese. Enjoy their menu in their cozy outdoor seating area… bring your pup and a camera, Joey’s will most likely attract many more celebs. Yes, we love Wynwood walls art. And this video just made the top spot on our favorite’s list! The Wynwood walls art always brings out some of the best talent Wynwood Miami has to offer. Not only are the individual pieces amazing, but the camerawork is superb and took lots of forethought and planning. Bravo! We can’t wait to see more from our favorite artists in Wynwood. Yes, we all know Wynwood Miami is blowing up, but is it the victim of a bubble? Last week, we were at a meeting talking about new restaurants & bars in the Wynwood Miami area. One of the people there, a pretty astute businessman, said he’d never invest in a restaurant or bar in Wynwood because of this “bubble”. According to him, the rate at which Wynwood Miami restaurants & bars are opening is unsustainable. He points to the lack of nearby residences. “Where do people live who come to Wynwood? Not in Wynwood Miami.” True, but Brickell is pretty damn close and there are PLENTY of people who live there. We countered that Miami is a very mobile city. We are not pedestrian friendly for the most part. Almost everyone gets in their cars when they want to hit up the newest bar or resto. And once you are in the car, what’s the big deal between heading to Wynwood Miami, Brickell or Coral Gables? It’s just a few minutes difference no matter what location you choose. He added that with the lack of daytime businesses, there was going to be a real battle for the lunchtime crowd. There are no big office complexes or centers for business. Per square mile, it’s actually quite depressing how many actually work in the Wynwood Miami area. And he feels this lack of lunch crowd will really make it a long haul for small restaurants. “Almost every place here will have to rely on dinner service,” he commented. “Not a cost-effective solution.” To this point we really had no counter. He is right. There aren’t a lot office or high density employers in the Wynwood Miami area – not like other areas like the Grove, Brickell or the Gables. But we think the restaurants and bars that are opening up realize this and plan accordingly. In the end the group was pretty much split about the Wynwood Miami Bubble. Maybe people are a bit bubble-shy from the recent real estate bubble and all the heartaches that caused us. Or maybe people are just “haters” on Wynwood and all the action we are seeing in our neighborhood. Whatever the case, we’d love to hear you comments. Is there an economic “bubble” in Wynwood Miami? You’ve found the source for the hottest events & Wynwood Miami nightlife! Catch the latest concerts & festivals like the Wynwood art walk or what’s happening at the Wynwood walls. Not only is this a site to help let people know about what’s happening in Wynwood, it’s also a journey into discovering the wonderful world of WordPress. So excuse our “in progress” look and potential non-linking pages and images. We’re all growing learning together and hopefully we’ll be able to pass on some solid info to you along the way!